Welcome to Block 11 of our Celebrate Christmas Quilt-Along. 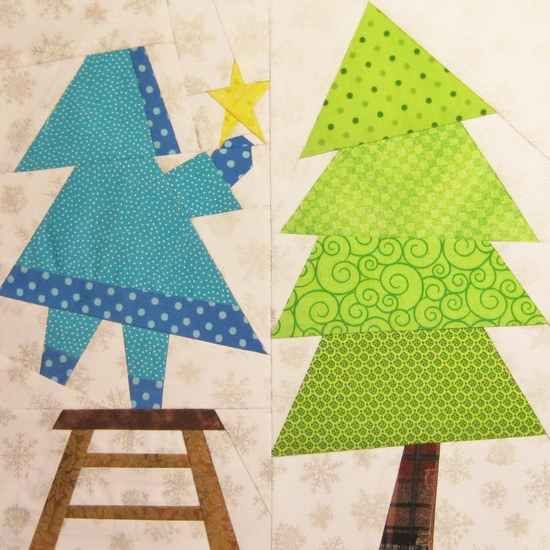 Jennifer Ofenstein has designed a super cute block for us today called Sweet Sue Tops The Tree. Our friends at Fort Worth Fabric Studio have a fabulous 40% off Super Deal for you to enjoy too. How does the quilt-along work? Over a 12-week period, 36 fabulously talented designers will be making 12″ blocks that you can make. You can pick and choose which blocks you want to make. Sash them, add borders, baste it, quilt it, and have it ready to give-away or keep for yourself this Christmas. Or you might want to use some of the blocks for a mini quilt, a table runner, bags, whatever you like. Make new quilting friends, meet our featured designers, take advantage of our Super Deal bargains, and most of all just have some fun! 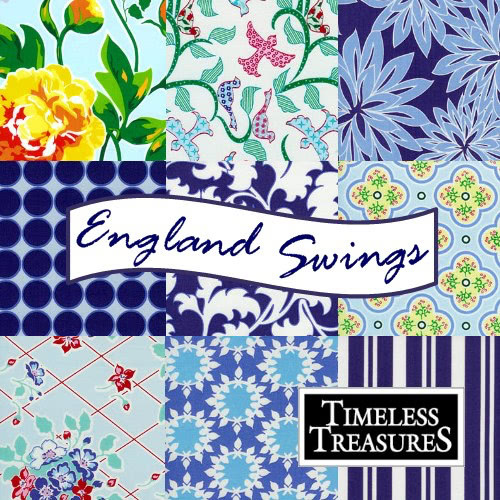 40% OFF all England Swings, designed by Rebekah Merkle for Timeless Treasures. No special code is required. The discount applies to all England Swings yardage, as well as Fat Quarter & Half Yard bundles. SALE runs until October 11 at midnight, CST. Most of my quilting is very whimsical and almost everything I design is paper pieced. I love fun quilts, and quilts that make others smile. I’ve sewn most of my life, and became a serious quilter about eight or nine years ago when I went to a work day for The Linus Connection, a local blanket making charity I volunteer for. I started designing because I wanted to make a project that I realized did not exist. I’ve been at it ever since! As of this very minute, my favorite quilt is still in progress! 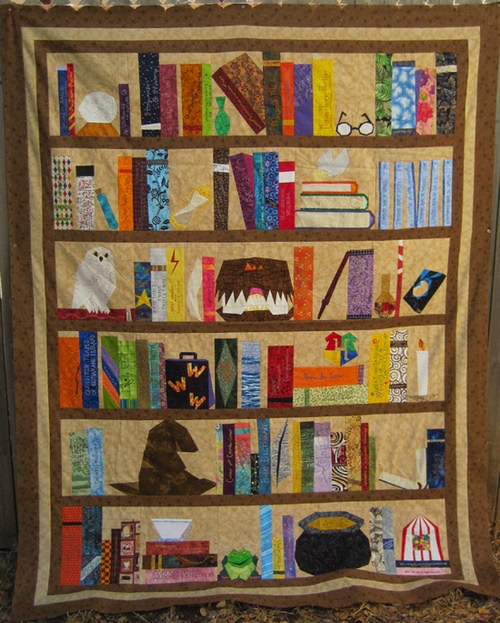 It’s my Harry Potter bookcase mural quilt, dubbed "The Project of Doom". It is the product of a Block of the Week I designed and hosted from January – August of this year with my Harry Potter Paper Piecing group. This is my favorite quilt so far because of the shared experience with other quilters and fans. I made a lot of fantastic new friends and had the very great pleasure of seeing many non-quilters become quilters! What part of the quilting process do you like the most? Designing and paper piecing. What part of the quilting process do you dislike the most? Proofreading my own patterns. Thank goodness for pattern testers! Chocolate, vanilla, strawberry, or: Dark Chocolate! Favourite super hero or comic book character: Batman, hands down! Favourite quote or mantra: Life’s a journey, not a destination. Here’s Jennifer’s Sweet Sue Tops The Tree block. Isn’t it just adorable? I just love Sunbonnet Sue and this block made me smile as soon as I saw it. Head over to Jennifer’s blog to download the paper pieced pattern. Upload your completed blocks to our Flickr group for a chance to win some adorable buttons from Button Mad – Incomparable Buttons. One winner for each of our quilt-along blocks will be randomly chosen. 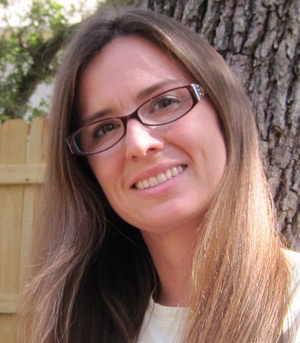 You have two weeks to complete Jennifer’s Sweet Sue Tops The Tree block to be eligible to win. This is really great, Jennifer! I am going to give this a go and given my skills with this kind of thing it will take me until Christmas. I have just found your blog so I will have a propper read up on this over the weekend, thanks for sharing!